Because my series is set in Oklahoma Territory, I find myself humming tunes from the musical Oklahoma! (click here to hear) I never saw the play done professionally, but I saw the movie and our college department put on the musical one summer at Youth Camp. Those songs are timeless and they create images in my mind that help with the images I want to create on paper. The idea for the name of the series came from a line in the title song that talks about the wind sweeping across the plain. Lucy, Dove, Becky, and Caroline are the heroines of my series and each of these ladies grow and change to become the kind of young women who helped to make Oklahoma a great state. As Christians, we all must grow and change. Even at my age of 73, I am learning to adapt to changes that affect my lifestyle. As writers, we must be willing to adapt to what our editors want and what we learn in workshops. The biggest change in our life comes when we accept Jesus Christ as our Savior. We become new creatures in Him. Our hearts are changed and that makes a big difference in the way we live our lives. The way we live must change and grow as we mature in our daily walk with Jesus and learn about what we are to do for Him. One of the most difficult lessons I have learned is that of forgiveness. My brother was in and out of trouble from his teen age years to present. He is currently serving a prison sentence set back in 1983, and I had conveniently erased him from my life. When I learned he’d made a profession of faith in prison, I didn’t believe it, but came to realize if I didn’t forgive him for his heinous crimes, I could never have peace. I also learned to be patient and to persevere in spite of circumstances. We all have lessons to learn throughout our lives, and God is a patient teacher. If we don’t get it the first time, He’ll keep coming back until we do. One of my favorite songs from the musical is “Oh, What a Beautiful Morning.” When I think of that song, I think of the line, “I’ve got a wonderful feeling, everything’s going my way.” A day begun with the Lord will be a wonderful day. A day when our hearts and minds are open to whatever He has to teach us that day will be a wonderful day whether things go your way or not. My own writing life has undergone so many changes throughout the years. As a young girl I escaped into books and then made up stories for my paper doll families. Those stories were a way to escape a world I didn’t like to one of fantasy with perfect families and lots of love. That evolved into writing short stories about my imaginary worlds. I wrote my first novel at age eighteen and it was about 40K in length. After many rejections, I put writing on hold to have a family, teach school, and earn a Master’s Degree in education. When I was asked to write some devotionals for a book put together by the women’s ministry of our church, I jumped at the chance. Then I became involved in a writing group and began attending writing conferences. That’s when I learned how much more I needed to know to write good articles. From 1994 until this year, I wrote novels and wrote novels and improved and grew with each one. When the call came in June of this year, I was so excited, but I knew my writing still needed much more growth. Another song from the musical comes to mind, “Everything is Up to Date in Kansas City.” The next line says, “They’ve gone about as far as they can go.” I hope that I never get to the point that I feel I’ve gone as far as I can go. No matter what my age, I want to have goals out there before me. I want to look ahead at what I can still accomplish. When we strive and forge ahead with what God wants us to do, He will strengthen the talent He gave us. When we delight ourselves in Him and seek His will daily, He will stay with us and give us the desires of our heart, and we may find that our desires will change as we grow and mature in His love. Please leave a comment and your e-mail addy [ex. martha(at)martharogers(dot)com] for a drawing to win a copy of BECOMING LUCY. Her book credits include the novella, Sugar and Grits, seven Bible studies, contributions to compilations by Wayne Holmes, Karen O’Conner, and Debbie White Smith. Martha has contributed devotionals to several anthologies including soon to be released Whispers of Wisdom for Step-Moms from Barbour. 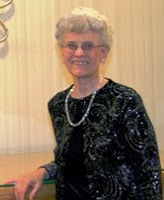 Martha served as editor of an eight-page monthly newsletter for the writer’s organization, Inspirational Writers Alive! for six years and is the state president. She is also the director for the annual Texas Christian Writer’s Conference. Click here to watch the BECOMING LUCY trailer. Buy a copy today from Amazon, Christian Book Distributors, or Barnes and Noble. What an encouraging testimony, Martha. Thanks for stopping by. My daughter was in a full scale production of Oklahoma for a theatre camp this summer. I know all the songs pretty well now and could hear them in my head as I read your post. Martha, I just watched the version of Oklahoma which is the filmed "live" show from London aka the Hugh Jackman version. I have the Rogers and Hammerstein version and it was also one of the muscials performed during my high school years by our music department. Love Oklahoma! the musical. Your story is very encouraging! It was nice to meet you in Denver this past year. Thank you for coming by Intropolis today! I love the cover of your new book and I hope I get a chance to read it soon. So nice of you to visit all of us and share your wisdom and faith. I love the cover of your book and the trailor. You said: I also learned to be patient and to persevere in spite of circumstances. We all have lessons to learn throughout our lives, and God is a patient teacher. If we don’t get it the first time, He’ll keep coming back until we do. I just have to say you are so right about this. God is a patient teacher. There are times when I wished He would have just got on with it and show me what I was supposed to go. If I've learned anything it's how to persevere and I'm grateful for that. Anything you want to share with us about your publishing experience? Thank you for sharing your story, Martha, how encouraging for us all! My Dad was in a number of musicals in high school and college, so I grew up with songs from Oklahoma!, The Music Man, and so on. Funny how songs inspire stories, and stories inspire songs. Thank you for sharing your encouraging story! Your books sound wonderful. I've got to check them out! Ah... Perseverance even harder to accomplish than it is to spell. The path of least resistance is so much easier. I keep reminding myself that it's also the path of least reward. But here's to all who keep on keepin' on. Thanks Martha for hanging out around the Inkwell today! Hi Martha! Oh, I love musical theater. It's so much fun to roll those songs around in your head! You are so right about perseverance. I think it may be the single most important tool in our writing arsenal. Thanks for sharing with us, and huge CONGRATS to you on the release of your new book, and all the others to come! Enjoyed the interview with Martha, I really would love to win her book. I am a follower on google and look at your site almost every day.